Plastic items found inside the deceased mammal included '115 coffee cups, four plastic bottles, 25 plastic bags and two flip-flops'. It's not the first death attributed to plastic waste - and it won't be the last. But the quantity of plastic items point to a terrifying 'new normal' confronting our marine environment. 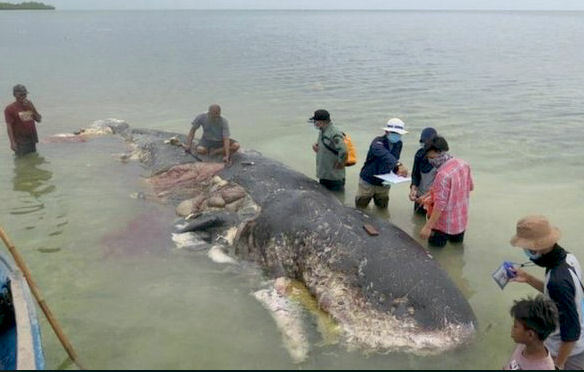 'The sad demise of a sperm whale is another warning about plastic pollution of the oceans,' Boomerang Alliance director Jeff Angel said today.